First thing’s first: anyone about to read this review should know that I only smoke my pipe probably around once every three months on average (sometimes a few times in a week, sometimes once in 6 months). I do enjoy smoking my pipe, but to call this a review from a serious smoker wouldn’t be very truthful. With that out of the way, I’ve been using my Vector Thunderbird butane pipe insert for a little while now, and I hope that any pipe smokers out there enjoy hearing my thoughts on it. When I first started smoking, a Bic was my weapon of choice for lighting up. I know that you’re supposed to use a match, wait for it to burn for a couple seconds, and then use the burning wood for a “pure” light. And I do still do that every now and then, but not for any sense of it being “purer”. I do it simply because it’s more fun to light this way. For the majority of the time though, a trusty Bic in my pocket was all I needed. It produced a soft-ish butane flame with every flick, and (in case you were wondering) no, I couldn’t taste it. It was a very simple, cheap, and reliable tool, and if I can’t find my Thunderbird nowadays, matches or a Bic are my second choice. Onwards, to the Zippo style! I ended up with a Zippo and Zippo-style case as a present from one of my family members who lived in the U.K. at the time. And I must say, it was amazing. From how reliably it lit with close to each and every flick, to the downright established style of the thing. There’s nothing quite like a Zippo – let’s be honest, they’re even fun to play with when you’re a non-smoker. As a pipe-smoker though, the major downside is the standard Zippo wind-shield shape. 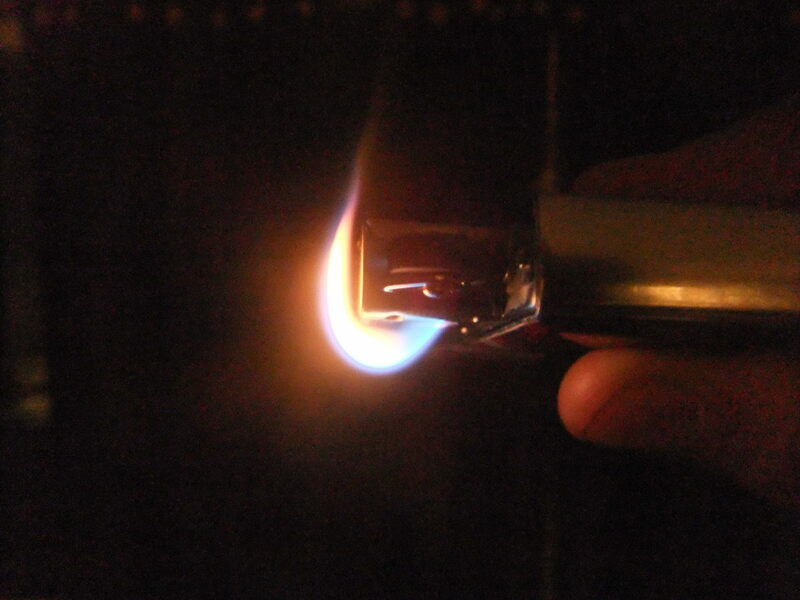 Trying to direct a Zippo's flame downwards into the bowl of your pipe is incredibly awkward. You can practice if you want, but to have to practice to get your technique right so that you can somehow finagle that flame into your bowl should say something in and of itself. The liquid fuel does slowly evaporate from the Zippo, too. So whether you use it a lot or a little, if you use it weekly then you’ll need to refuel it weekly. This, and on the occasions I lit my pipe with the Zippo, I could definitely taste that liquid fuel. I have no idea how the old Zippo lighter fuel tasted, as by the time I was smoking with the Zippo I only bought the new, refined fuel that apparently had less of a taste. But I could still definitely taste it… And while I’ve heard of some people enjoying the taste, it definitely wasn’t for me. So then, where to go from here? I could try out the Zippo pipe insert, which is very much like a regular Zippo lighter, with the top covered and a hole on either side of the wind shield. These holes were so that, when you held the Zippo over your pipe, the top hole allowed the flame to escape (i.e. so that the flame wasn’t smothered), and the bottom hole meant the flame was drawn easily into the bowl by you breathing in the flame. But in my eyes, there was still the issue of the taste of Zippo fuel. 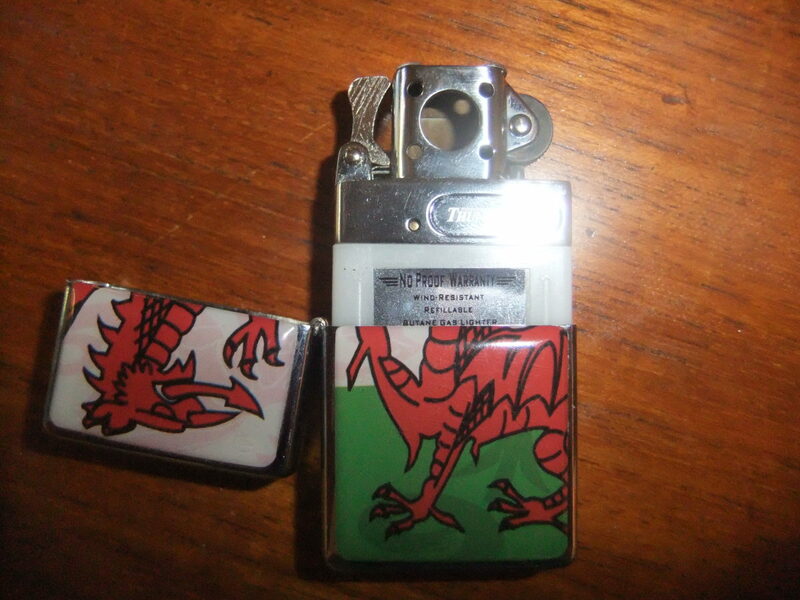 I could of course go back to the trusty Bic, or matches, but I really did enjoy the style of the Zippo. 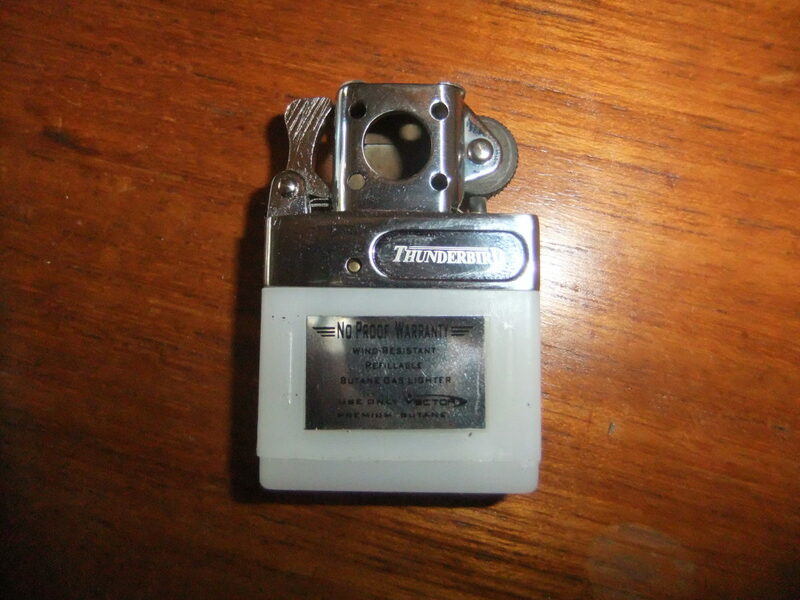 Before buying this insert, I did a bit of research on the Thunderbird, and truth be told it made me a little hesitant… The majority of personal accounts about the Thunderbird were very positive, including many saying they loved both the lighter itself and the service of Vector in case of problems. But there was a not insignificant amount of people who were saying, shall we say, less than positive things about this insert. I began to waver on the idea of buying this lighter, and backpedaled to toying with the idea of getting the Zippo pipe insert instead. However, I found some information about the No Proof Warranty that comes with the Thunderbird, and decided that with this, I’d take a chance on this thunderous avian. A little while later, I received the insert, tore into the packet, and was happy with what I had found: a brand new butane pipe lighter insert, already fueled up and ready to go. That’s the first thing I really appreciated about the fact that it’s a butane lighter. Unlike the liquid fuel in the Zippo which evaporates over time, (unless your Thunderbird is faulty) the butane won’t simply disappear. So when Vector fuels up the Thunderbird before packaging, all that butane is still in there for the consumer to use immediately. The Thunderbird does its best to imitate the style of the traditional Zippo. Unlike other butane lighters, where once you’ve lit up you need to keep some button or lever pressed down, the Thunderbird’s gas release is controlled by the cam lever (shown in the first picture to the right). So, when you have the lid on the case closed, the cam lever is up, and no gas is being released. 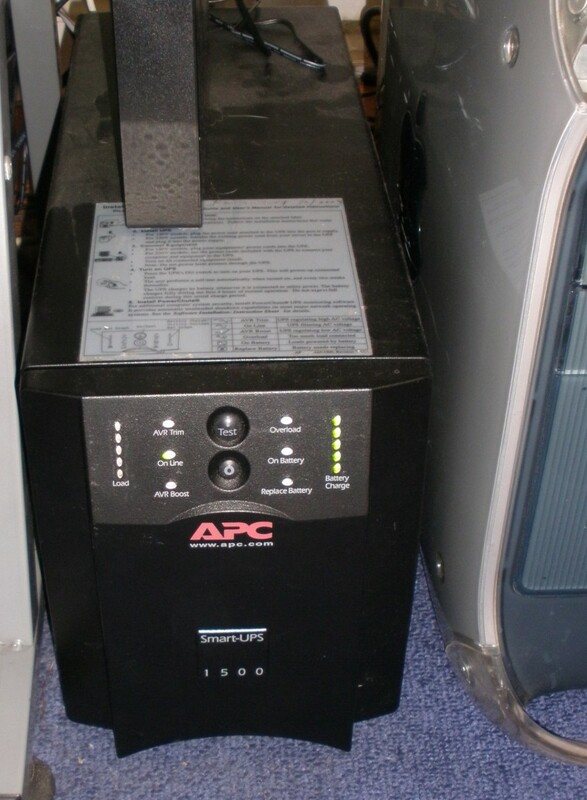 When the lid on the case is open, the cam lever is lowered, releasing the gas for use. Ingenious in its simplicity. In the regular Thunderbird for cigars or cigarettes, the wind shield is also styled in a very similar fashion to the traditional Zippo. The pipe version, however, is altered to do its best to provide wind protection, and point the flame out at a 45o angle. This allows you to easily angle the flame down into your pipe bowl. Finally, the lighting mechanism itself is also reminiscent of the Zippo, utilising a flint-and-striker-wheel design. This allows you to achieve that same open-and-flick lighting style as the Zippo. 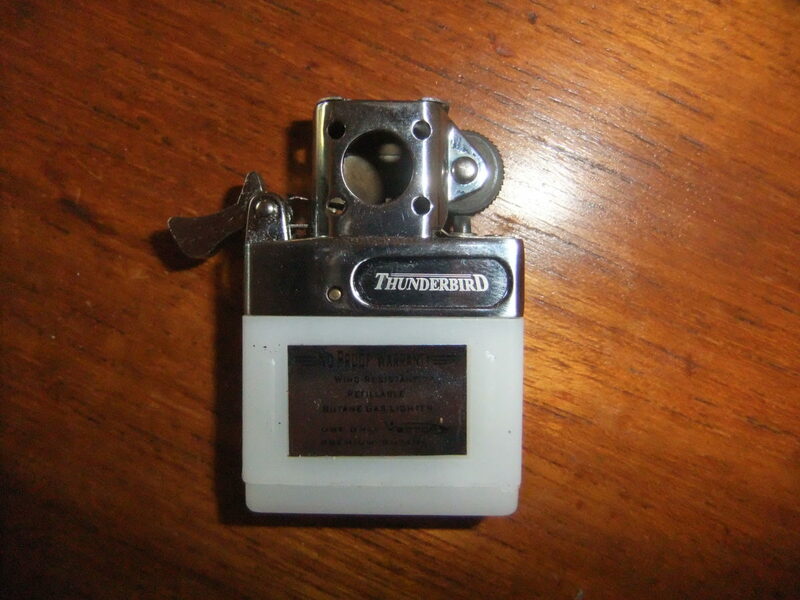 All-in-all, I’d say that the Thunderbird does a rather good job of achieving the same feeling that you get from the Zippo, even if the look of both the flame and wind-shield aren’t quite there. Cannot easily adjust the flame strength/height. 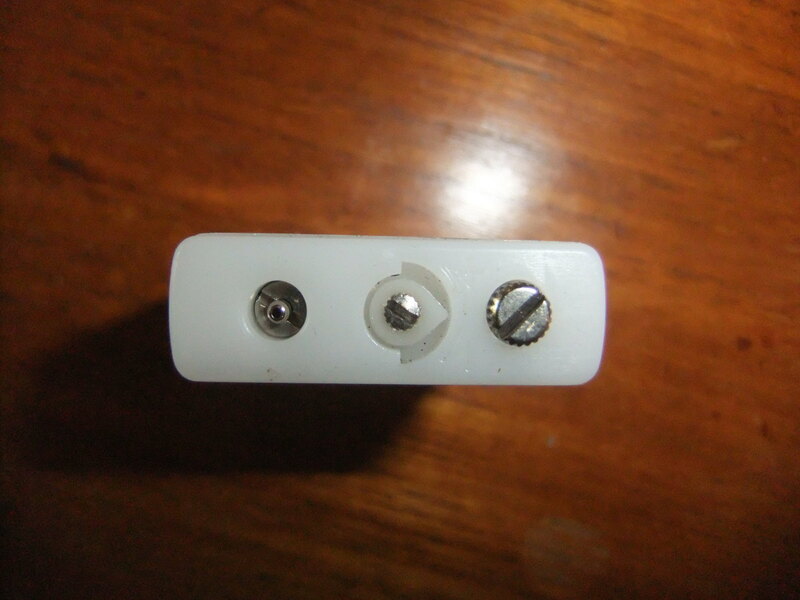 Extremely reliable to light up. Due to the combination of the flint and wheel striker, the evaporating liquid fuel, and a wick, you’ll light up with almost every flick. Furthermore, the Zippo will stay lit unless you’re in the middle of a hurricane (or until you close the lid). Liquid fuel evaporates. If you haven’t used your Zippo in over a week and don’t have some spare lighter fuel handy, the Zippo is not going to be of much help. Rugged. An authentic Zippo can be dropped, stood on, driven over, and just laugh it off afterwards. Fuel taste. Some people say they can barely taste the new, refined fuel that Zippo sells nowadays, but I definitely can, and by a noticeable amount. Stylish. Perhaps not quite as much as an original, authentic Zippo, but there’s still a lot of style to be found in these lighters. The pipe insert is not as reliable in the wind. Very reliable to light up. Again, the Zippo may win this one, but the Thunderbird lights easily enough (even if after a few flicks of the striker wheel when you’re low on fuel). Butane taste. I can’t taste it, but others say they can taste the butane when they light up, so it’s worth putting it down here in case you’re one of the people who can taste it. Reliable fuel source. 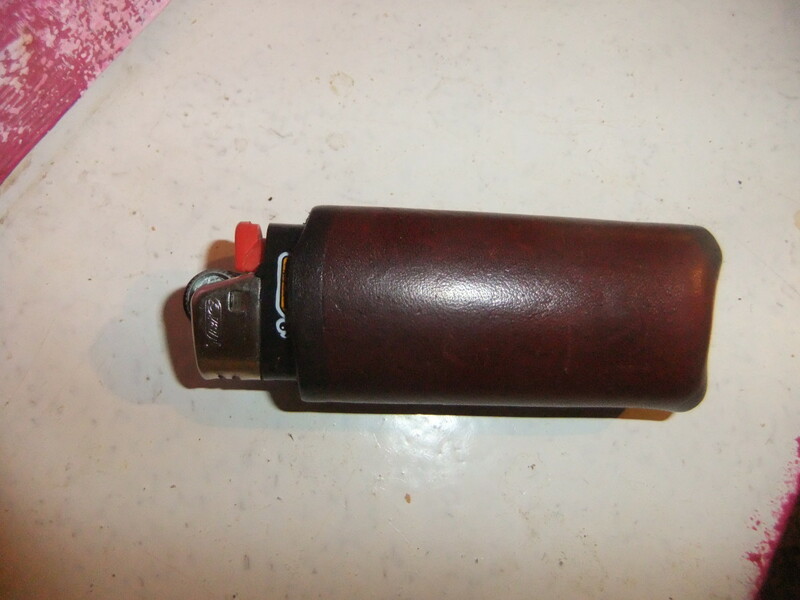 Thanks to the Thunderbird using butane, if you haven’t used this lighter for a long time but it had fuel in it the last time you used it, then it will still have fuel in it when you go to light up again. Cannot easily be used if you’re left-handed, due to the fixed direction the flame exits the lighter (applies only to the pipe-insert). The flame strength/height can be easily adjusted by a screw head on the bottom of the Thunderbird insert. I can’t speak either way as to the ruggedness of the Thunderbird as I haven’t done any tests for myself, nor seen any tests performed. But it feels sturdy enough, and I certainly wouldn’t expect it to be weak. Lighters are quite a personal thing. What works best for one person is consistently shown not to feel quite right for others. So I hope you’ve been taking this review with a grain of salt, and these closing words with a pinch more. I really do like the Zippo style of lighters and branding. But with that said, I prefer my Thunderbird. 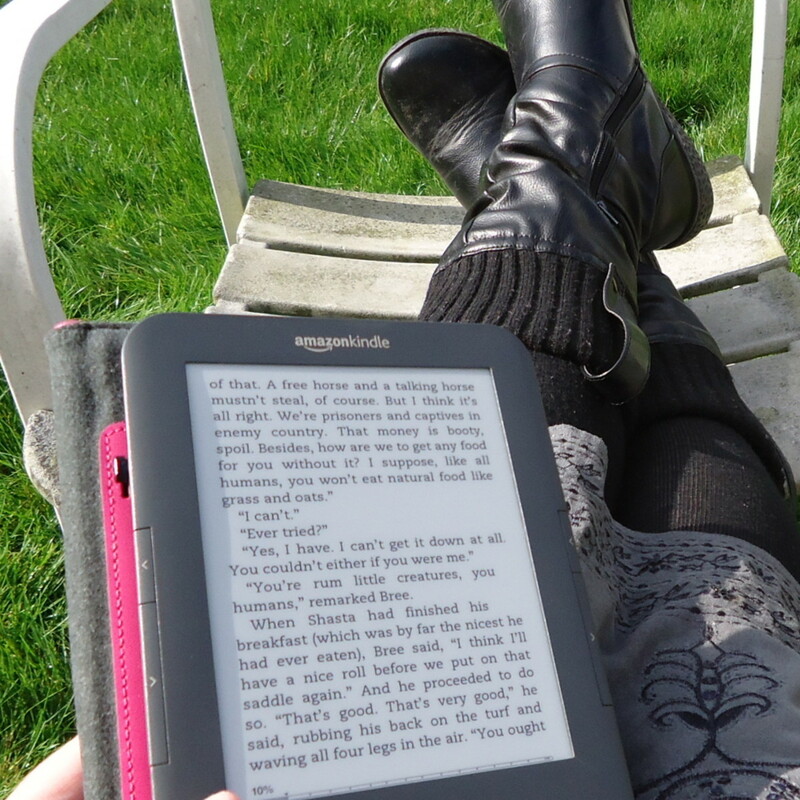 Mostly, I’m one for functionality, so I enjoy the peace of mind that comes with knowing that if I don’t use it in a long time, and then the occasion arises to use it while I’m out and about, then I don’t need to worry about it being empty, or that I don’t have fuel on me. The one thing I do wish it did better was light up and stay lit in the wind. Very light wind is no problem, but anything more than that and out the flame goes, or up comes your hand to shield it. Other than that, I really enjoy playing with it as much as I enjoyed playing with the first Zippo I got. 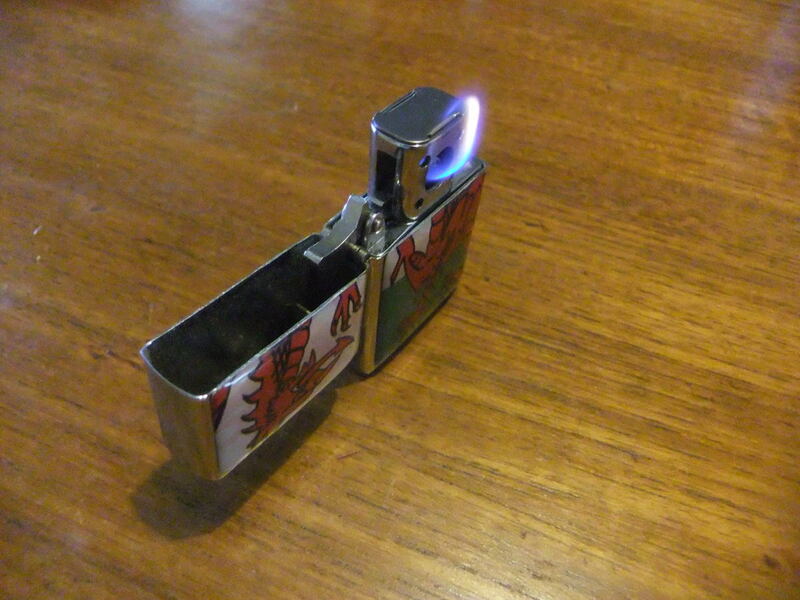 I may, at some point in future, toy with the idea (again) of getting a Zippo pipe insert. But for now, the Thunderbird is handling my pipe-smoking, candle-lighting, and fireplace-starting needs perfectly fine.